Here is a list of top tourist attractions in Luxembourg. Only the topmost tourist destinations are presented here. To see other destinations, please check the images from Luxembourg section. Curious if any of these place from Luxembourg made it our best tourist attractions in the world list? Read the aformentioned article in order to find out. You can also view all tourist attractions in Luxembourg and other countries on our tourist attractions map. The Grand Duke Jean Museum of Modern Art, abbreviated to Mudam, is a museum of modern art in Luxembourg City, in southern Luxembourg. The museum stands on the site of the old Fort Thüngen, in the Kirchberg quarter, in the north-east of the city. First proposed in 1989 and championed by then-Prime Minister Jacques Santer, the location of the future museum was much disputed, until it was agreed in 1997 to use Dräi Eechelen Park and connect the museum to Fort Thüngen. The building was designed by Pritzker Prize-winning architect I. M. Pei, and cost $100m to build. The museum was inaugurated on 1 July 2006 by Grand Duke Jean, to whom the building is dedicated, and opened to the public the following day. The museum is directed by Enrico Lunghi. As Luxembourg had no public modern art collection and the museum budget did not allow acquiring a modernist collection, the museum focused on contemporary art - its permanent collection includes works by 100 artists, including: Andy Warhol, Bruce Nauman, Julian Schnabel, Thomas Struth, and Daniel Buren. In its first year being open to the public, the museum had more than 115,000 visitors, which is a record attendance in Luxembourg. Notre-Dame Cathedral is the Roman Catholic Cathedral of Luxembourg City, in southern Luxembourg. It was originally a Jesuit church, and its cornerstone was laid in 1613. It is the only cathedral in Luxembourg. The church is a noteworthy example of late gothic architecture; however, it also has many Renaissance elements and adornments. At the end of the 18th century, the church received the miraculous image of the Maria Consolatrix Afflictorum, the patron saint of both the city and the nation. Around 50 years later, the church was consecrated as the Church of Our Lady and in 1870, it was elevated by Pope Pius IX to the Cathedral of Notre-Dame. At the cemetery of the cathedral is the National Monument to the Resistance and to the Deportation. The centerpiece of the monument is the famous bronze monument by the 20th century Luxembourgish sculptor Lucien Wercollier called The Political Prisoner. The cathedral was expanded and enlarged from 1935 to 1938. The National Museum of History and Art, abbreviated to MNHA, is a museum located in Luxembourg City, in southern Luxembourg. It is dedicated to displaying artworks and artefacts from all epochs of Luxembourgian history. The museum is situated in Fishmarket, the historic heart of the city, in the Ville Haute quarter. The Monument of Remembrance, usually known by the nickname of the Gëlle Fra, is a war memorial in Luxembourg City, in southern Luxembourg. 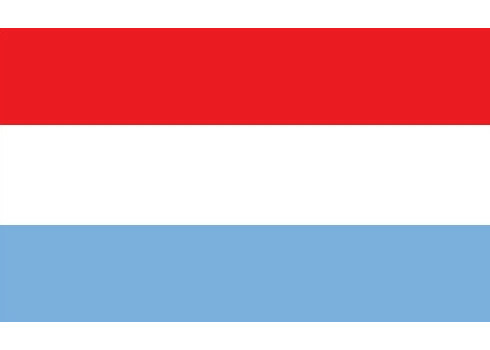 It is dedicated to the thousands of Luxembourgers who volunteered for service in the armed forces of the Allied Powers during World War I. The Gëlle Fra is situated in Constitution Square, in the Ville Haute quarter of central Luxembourg City. Neumünster Abbey is a public meeting place and cultural centre, located in the Grund district of Luxembourg City in southern Luxembourg. After the original Benedictine Abbey on the Altmünster Plateau had been destroyed in 1542, the monks built a new abbey or Neumünster in 1606 in the Grund. This in turn was destroyed by fire in 1684 but was rebuilt on the same site in 1688 and extended in 1720. After the French revolution, it served as a police station and prison before becoming a barracks for the Prussians after Napoleon's defeat in 1815. From 1867, it once again became a state prison. Since 1997, it has been the home of the European Institute of Cultural Routes. During World War II, the Nazis used the Abbey to imprison political resisters to their occupation of Luxembourg. Among the most notable of those political prisoners was Luxembourg's best-known sculptor Lucien Wercollier. Following extensive renovation works, Neumünster was opened to the public in May 2004 as a meeting place and a cultural centre. It hosts concerts, exhibitions, and seminars. The Abbey is also now home to the Lucien Wercollier Cloister, where many works from the sculptor's private collection are permanently displayed. The Industry and Railway Park Fond-de-Gras is a museum in south west Luxembourg near to the towns of Pétange and Rodange. It is linked to Pétange by a 6 km heritage railway operated by AMTF. Am Tunnel is a contemporary art gallery, situated in a tunnel in Luxembourg City, in southern Luxembourg. The gallery is located in part of the underground casemates of the city's ancient fortress, under the Bourbon plateau, in the northern part of Gare quarter. It is connected to the former headquarters of Banque et Caisse d'Épargne de l'État, the third-largest bank based in Luxembourg. In 1987, BCEE launched a plan to extend the former casemate, so that it would connect the bank's four buildings that lie on the plateau. The possible usage of the tunnel itself was debated, and the idea was formed to turn the tunnel into a gallery. Construction began in 1992, and the gallery was opened in 1993. It is primarily dedicated to hosting works by more than a hundred Luxembourgian artists, particularly the photographer Edward Steichen, to whom a permanent collection is dedicated. However, the gallery also hosts retrospectives of other artists. The National Museum of Natural History is a natural history museum in Luxembourg City, in southern Luxembourg. The museum is located in the Grund quarter on the eastern bank of the Alzette river, next to the Neumünster Abbey cultural centre. The museum is composed of eight separate scientific sections, spanning the natural sciences: botany, ecology, geology and mineralogy, geophysics and astrophysics, palaeontology, vertebrate zoology, and invertebrate zoology.